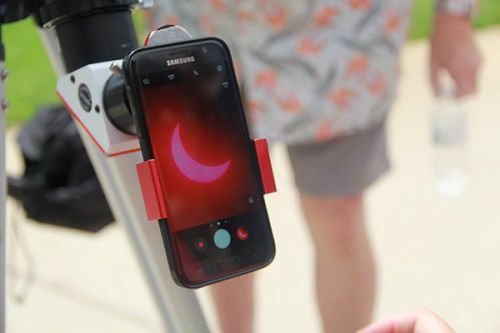 They came with solar eclipse glasses, boxes converted into safety viewers and cellphones to catch history as it crossed the skies of northwest Florida on Monday. Hundreds of Pensacola-area residents – young and old – camped outside the E.G. 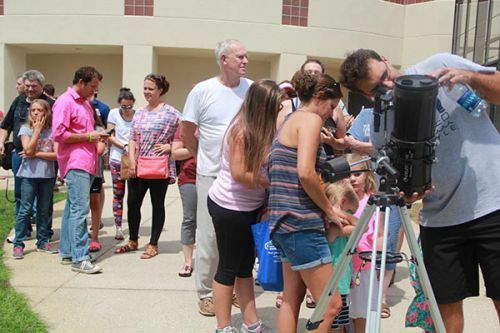 Owens Planetarium from about 11:30 a.m. to 3:30 p.m. to catch a glimpse of the Great American Eclipse. 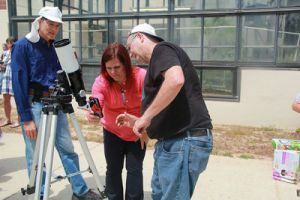 Retired Pensacola State astronomy professor Wayne Wooten and astronomy instructor Lauren Rogers were on hand to answer questions and help viewers safely experience this rare event. 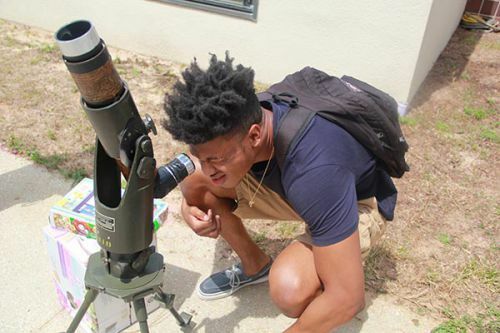 A crowd also came to the Warrington campus where Escambia Amateur Astronomers Association member Ed Magowan had a telescope available from about noon to 3 p.m. on the south end of the parking lot between Buildings 3100 and 3400. He also answered questions and set up a safe viewing reflection. The partial eclipse began at 12:05 p.m. and reached maximum coverage of 82 percent at 1:37 p.m. The eclipse ended at 3:03 p.m. locally.